Henrik Olesen/Danh Vo. Master-Slave Dialectic. 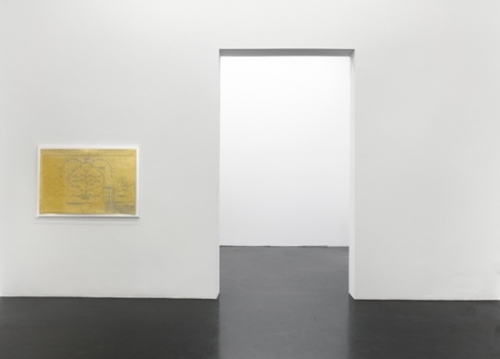 Installation view, Galerie Buchholz 2011. Danh Vo, Impossible Is Nothing, 2011. Gold leaf on blueprint. 70 x 105 cm, perspex box: 77 x 112 x 3,5 cm. Henrik Olesen. Cast 4, 2011. Polyurethan cast, 2 parts, 275 and 338 cm (Ø 0,5 / 1,2 cm. Henrik Olesen. Master-Slave Dialectic. Cast 4, 2011. Polyurethan cast, 2 parts. 275 and 338 cm (0,5 / 1,2 cm). 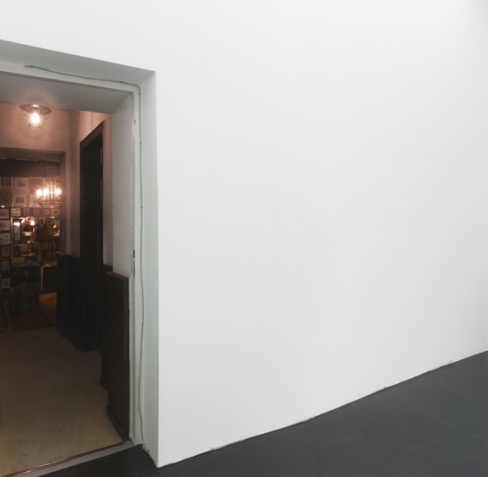 Istallation view, Galerie Buchholz 2011.